“MY FAVORITE spring wine is one that is almost impossible to find. Never mind that it’s made all over the world—France and Italy, Germany and Austria and even California and Oregon. Or that it’s refreshing and crisp and even pairs well with so-called “difficult” foods like asparagus and other green vegetables. It remains woefully obscure—at least to most American wine drinkers. 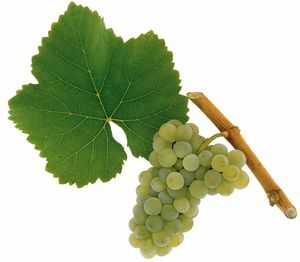 Silvaner (or Sylvaner as it’s known in France and parts of Italy) is a white grape originally grown in Austria, where little of it is planted these days. It has the poor fortune of growing in many of the same wine regions as other, more illustrious and more popular grapes. It flourishes in the Alsace region of France, where it’s all but overshadowed by Riesling and Gewürztraminer. It’s grown in Italy’s Alto Adige, but so are lots of more attention-grabbing grapes, like Pinot Grigio. It has the distinction of being the flagship grape of Germany’s Franken region, but how many people talk about the great wines of Franken?